Last year we celebrated 30 years under the guidance and leadership of Martin Wills, our MD. 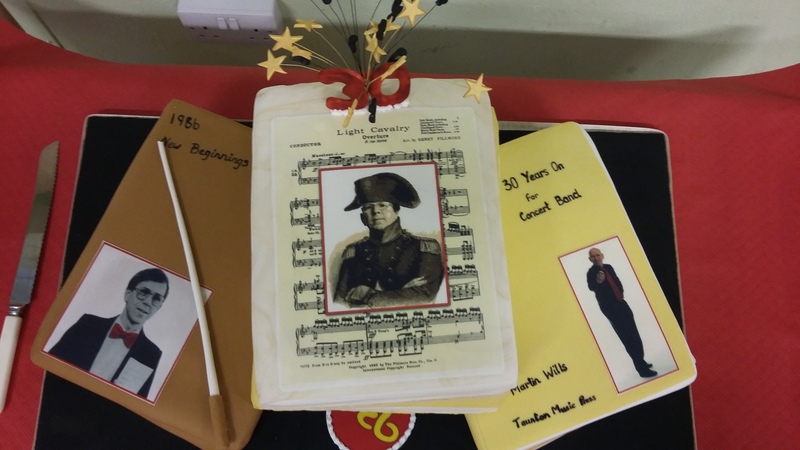 Martin left the army in 1983 having completed the Bandmaster’s course which included learning to play every instrument in the military band. He joined TCB initially playing the bassoon before finding himself in charge. Without Martin the band, which at the time consisted of predominantly young and inexperienced musicians, may have quietly disappeared without trace. However, under his direction we have gone from strength performing throughout Europe and achieving a gold award at the National Concert Band Festival at the first attempt. 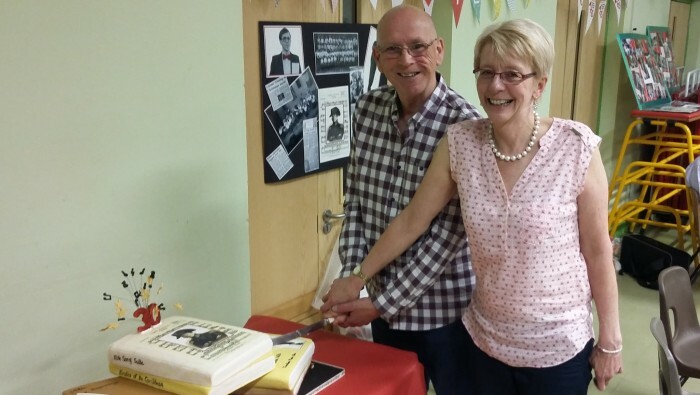 The band recently held a party for Martin and his wife, Carol, to say a big “thank you” for his endless hours of work.